SAS Marketplace Aviation - B2B - Where Aviation Business Meets the Service Provider. SAS Marketplace provides Support for Independent Aviation Business Services. If you would would like to advertise please email office@sassofia.com for details. SofemaOnline is a service provided by Sofema Aviation Services, offering a range of EASA compliant online video regulatory courses. The trainings are designed to be effective and to help you reach the correct level of understanding in the comfort of your own home or office. The course content is followed by an online examination after which you are able to print out your certificate. Through its Learning Management System (LMS), SofemaOnline is able to offer a number of tailored services to support our major clients with in-company courses covering internal procedures and “mini” training courses. 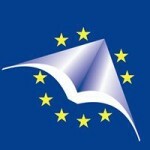 European Aviation Institute was established with the purpose of ensuring an optimum organizational environment in order to raise the standards of aeronautical training. The Institute provides integrated or modular package of training solution for the aviation sector, at our center in Bucharest or at other preferred location, with the same quality standard. European Aviation Institute is a technologically advanced training School with outstanding training facilities and experienced instructors who are experts in the industry. With access to skilled instructors, our focus is on delivering best in class skills to existing and new generations of aviation technicians and engineers. It is an EASA Part 147 approved Maintenance Training Organization (MTO) approved in accordance with Regulation EASA Part 147 ( Certificate of Approval No RO.147.0003 ) which provides Part 147 training courses and also specialized aviation courses (non Part 147). 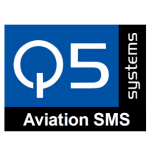 Q5 Systems has been developing quality, security, and environmental, health and safety software since the early 1990′s to help professionals better manage the complexity of an ever-changing business environment and the inherent risks associated with every day operations. Q5 offers a suite of safety software products to enable optimal safety compliance including audit and inspections management, incident management, corrective actions, risk management, project observation management and custom development. Q5 continues to expand its safety management system with new products being launched throughout the coming year. Our “no compromise” approach to developing safety software is perhaps what defines us best and why industry leaders implicitly trust Q5 safety compliance systems. JP International Aviation Security LTD was established in 2000 and since then has branched out into Africa offering professional training not only to the Aviation Industry but also the private sector Security Industry. All our courses are tailored made to fit in with the diverse cultures and demands of different nations. Working closely with the different authorities all our courses reflect the needs of the local market place thus offering students greater opportunities in the employment market. Our strategic partnerships with IQ (Industrial Qualifications) and IARC we consider our course second to none. Aerospace Industries Association of the Philippines is representing the Philippine Aerospace Industries as a whole and aims to be the single voice to champion its cause with the Government, the Industry, the Academe, the Financial Institutions, and the Non-Government Organizations. The Association serves to develop a globally competitive and viable Philippine Aerospace industries. The aims are to become a leading organization, enabling partnership and a collective voice of all stakeholders, in promoting the growth and development of the Philippine aerospace industries. 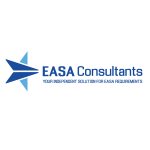 Aircraft Engineering Training Solutions Ltd was established in 2006 as an approved EASA maintenance type training organization aiming to provide quality and cost effective technical training. Over the years AETS has become a reputable and recognized training organization committed to delivering aircraft type training solutions to the industry. The company offers a wide range of aircraft type training, in B1, B2 and C categories, covering the theoretical and practical elements of the training. All training courses can be delivered at your preferred location, minimizing costs but maintaining a high standard delivery. Flight training provider for fixed wing (A) and helicopters (H). We provide courses for PPL and CPL licences and theoretical modular training for ATPL theory. Also for Night rating, Instrument Rating, Multi-engine Class Rating, Instructor Rating. 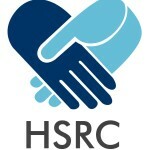 HSRC is a privately owned company registered in Hong Kong providing consulting services for the management of quality, safety and risk. The company team of professionals are experts in their respective disciplines and place customer service as a high priority. HKSRC is passionate in making businesses safer through providing effective solutions which are appropriate to our clients business profile.